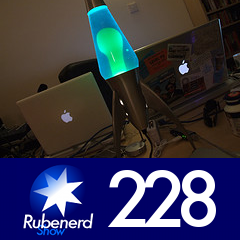 54:46 – New iPods introduced – What Elke thinks of the new Nano, what I think of the Touch, Apple disabling Linux support, downloading cover art in iTunes. Local Singapore news – World's largest water pumps being built in the Marina Barrage, what prevents people from being sucked in? Facebook news – Microsoft buying a pointless chunk, profile gluttony, voting for the Aussie Greens, Elke's rant on registration woes, I use Twitter to pretend I update my profile, CSS customisation would mean death. Ruben tries to make Mr Kloss proud – Why doesn't everyone use metric, what they teach you in school is pointless, why the whole Product Red scheme is no good, why can't Microsoft even create a spreadsheet app that multiplies properly, why are all men on television fat and stupid? And the ratholes… – Lava lamp confusion, Lance Armstrong's LiveStrong armbands, eating grapes, failing MadPlayers and tossed salad and scrambled eggs.